I'm known to have an interest in a million things but art and design have always been the gateway to my specific path. I work in fashion, love to write, crave academic environments, live by excel spreadsheets, and come from a medical family...and then I got cancer and thought, these things just don't add-up to anything focused. So it amazes me that I can make all my worlds collide and do it through the lens of cancer and hopefully help people in the process. Kind of like when friends from different groups come together and find out that they feel as connected to each other as you do to each of them. 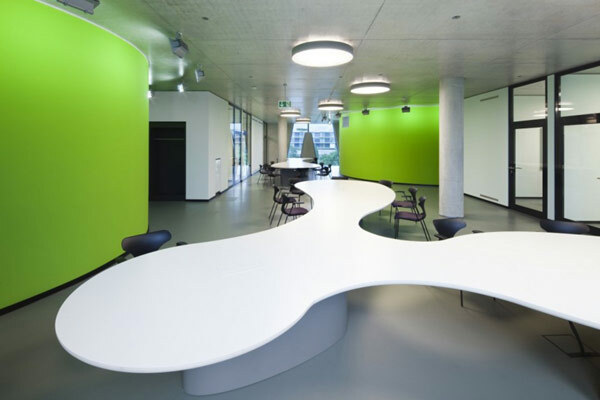 I previously wrote about Maggie's Center and recently came across the very cool O.A.S.E Medical Library at Heinrich-Heine-University in Dusseldorf, Germany. 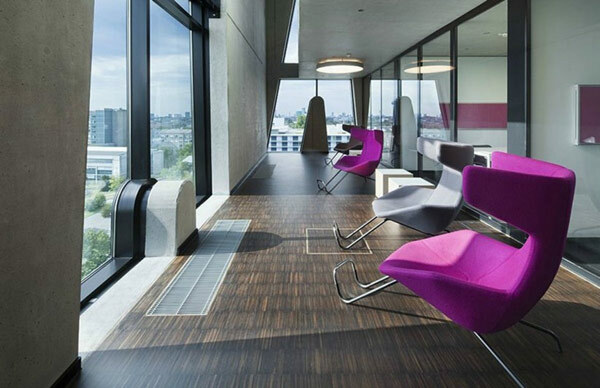 The project, completed in June, 2011, is the work of HPP Architects. 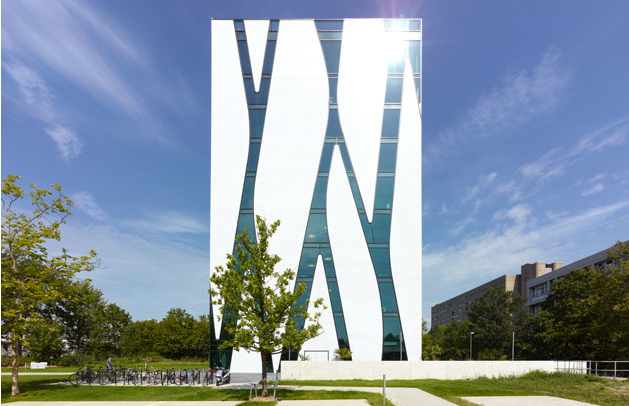 The name is a German acronym, essentially a play on the word "Oasis," and aligns with the University's charge to create a space which would serve as a "lighthouse" for innovative teaching and learning among the existing, more industrial style buildings on campus. 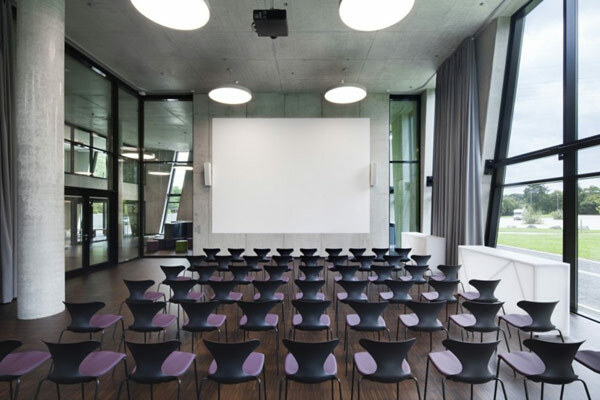 With the new Medical Library, Dusseldorf's Heinrich-Heine-University receives a pulsating space for studying, reading, learning, inspiration, and social encounter. The design for the 38 meter high structure stacks the various functions on top of one another and is the architectural expression of a capillary system. 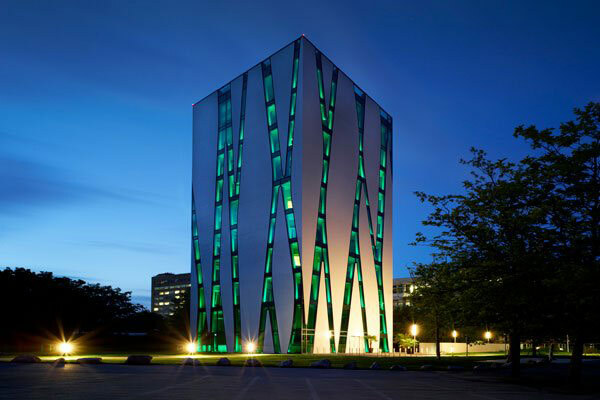 This idea is very effectively displayed through the smooth, white skin of the facade that forms a network of organic glass shapes over the slender cube - a lively building with high identification and recognition value. 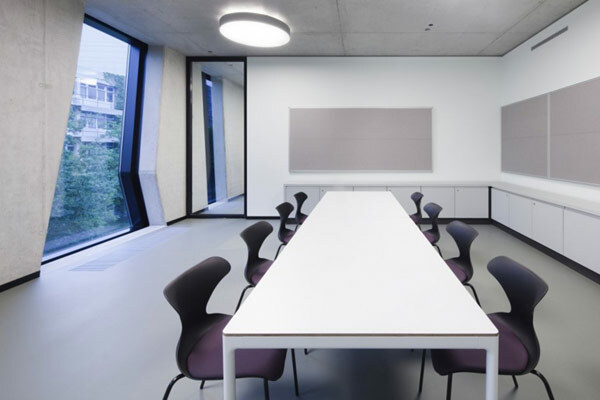 In addition to state-of-the-art equipment such as electronic white boards in the lecture halls, color and modern furnishings create a space where people actually want to spend time. Are you kidding me? I both teach and take classes at two different colleges in NYC and I can tell you, there is nothing even remotely as modern, clean, and inspiring a place in which to study as this. Even at Cornell where I went to college, as pretty as the grounds and external architecture are, the inside of many of the buildings is pretty run-down...and Cornell's Department of Architecture is among one of the most well-respected. I'd hang out late in the stacks just to see how those windows cast shadows on the ground after dark. I hope all this awesomeness inspires students and researchers to do some amazing work.